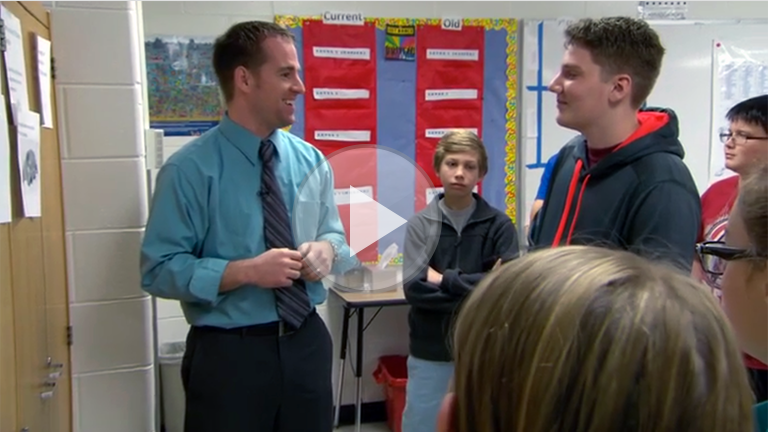 See how Mr. Cline uses the evidence game to build student ownership and encourage a culture of effective feedback in his Grade 7 Math classroom. How does Mr. Cline cycle the learning targets to keep the learning connected? Why do you think Mr. Cline said “I don’t want the answer…talk about the process.”? How do you collect formative evidence of learning? What strategies do you use when your students have misconceptions or do not know the answer? How will you keep your students “active and involved” and accountable for the learning targets? How will you convey to your students that it is “not okay” to not know the answer/process/content?